OTA Captured for T-Mobile HTC One Receives Android 4.4 Update, AT&T Update on the Way! HTC has done a reasonably good job in disseminating the KitKat goods to their flagship HTC One, as well as its regional variants. The most recent recipient of the 4.4 update is the T-Mobile variant, which started receiving the staged rollout late last night. 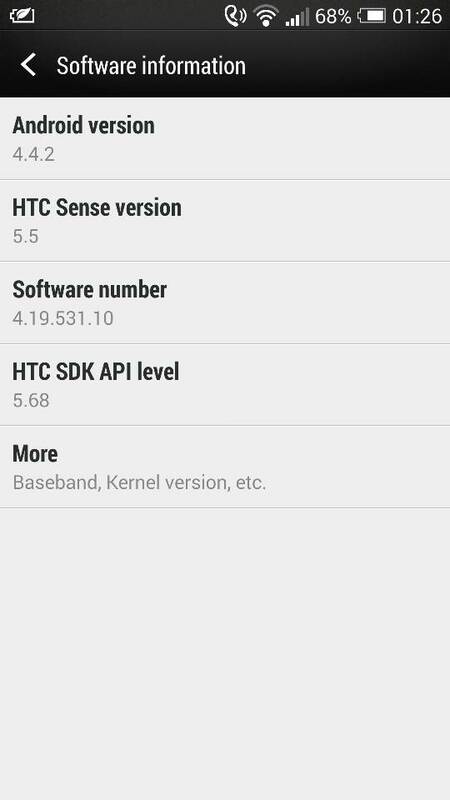 The KitKat update for the T-Mobile HTC One comes in at software version 4.19.531.10, and it bumps up the Android version to 4.4.2 with HTC Sense 5.5. As expected, the update packs all the same features that we saw in the Verizon update not too long ago. The update is being delivered in the form of a staged rollout. Naturally, this means that not every device will receive the OTA immediately. However, the update was captured and mirrored by XDA Recognized Developer mwang for everyone’s early side-loading pleasure. So if you wish to get in on the update a bit early or create a ROM derived from the official OTA, head over to mwang’s mirrored OTA update thread. And in other HTC One KitKat news, the update for the AT&T HTC One is coming soon as well. As announced on Twitter by HTC’s executive director of product management, KitKat for the AT&T HTC One has received carrier approval and is scheduled for OTA delivery shortly, and we’ll be sure to share the update once it’s been captured. Good job with the timely updates, HTC. These are good times to be an HTC One owner. Leave us your thoughts in the comments below!